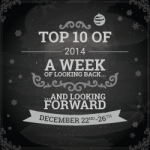 Another year has come and gone which means that it’s time to participate in Two Chicks On Books, Reading YA Rocks, Magical Urban Fantasy Reads and Tales of a Ravenous Reader annual TOP 10 OF 2014 week long meme. Not only do I love lists but these posts are easy to put together and schedule during the holidays so that I can spend time with my family. Also, peeps LOVED my werewolf list in 2012 & 2013, and they continue to get hits to this day so I decided that I best bring it back! All of these books were published this year. Enjoy! Did you read any good werewolf books this year? I dont think I read a single book with a werewolf this year. Though Tainted Blood did have a were-bear, so COUNT IT! I haven’t read most of these. I should fix this soon. Most people have the same problem. Every 2nd or 3rd book I read usually features a werewolf, so narrowing down my top 10 is a little more challenging. Loved Shifting Shadows and it got me reading Alpha and Omega. Nope, I haven’t read much werewolves this year. I get sucked into everything I see and I miss the werewolves. They are my favorite shifters!! Aww, sorry to hear that Mercy isn’t cutting it for you anymore. I’m still on the fence about Aileen Erin’s series; the next two installments will hopefully help make up my mind. I’ve only read Shifting Shadows from this list but Black Rook sounds like something I need to check out. Meade’s series is only a trilogy, so it’s not too long of a commitment, and it’s super well written. Great list! I recently picked up Charming after reading your review. It sounds like something I would love. Thanks for the list – I’m going to have to check more of these out. I listened to both of James’ novels, so the narrator played a big role in my overall enjoyment. I hope you like it! I have obviously not read enough werewolf books this year. I’ve only read 3 of those, though Daring is on my TBR list. Gotta check some of these out! Three is above average, so give yourself some credit! Oooooh! Didn’t realize 7 or 9 were werewolf books. Time to add them to my wishlist if I didn’t already have them there. The protagonist of #7 is a werewolf, however I’m not sure #9 will continue to feature ’em going forward, but this installment did, and that was all that mattered to me. I have only read the last two on your list and loved them both. I have the Jennifer Ashley on my TBR pile and the Patricia Briggs on my wish list. I don’t read werewolf books. But yay for another posting that wasn’t in the list! 🙂 For my own post today, I posted about Best Less Known Authors/Books. Blasphemy! You’re really missing out on something special. An unusual topic but the only werewolf book I remember reading this year was The Originals: 01 The Rise by Julie Plec. Loved it. It’s an unusual topic for most, but not this blog. I’m not familiar with The Originals, so I’ll have to fix that in 2015. Interesting category. I have not read enough werewolf books to have this list. Ha. But I did read Sinner and I really enjoyed it. Most peeps haven’t, so no worries there. Sinner was amazing! I haven’t read many wolf books. I’m not normally a fan but I did like Andrea Cremer’s wolf books. 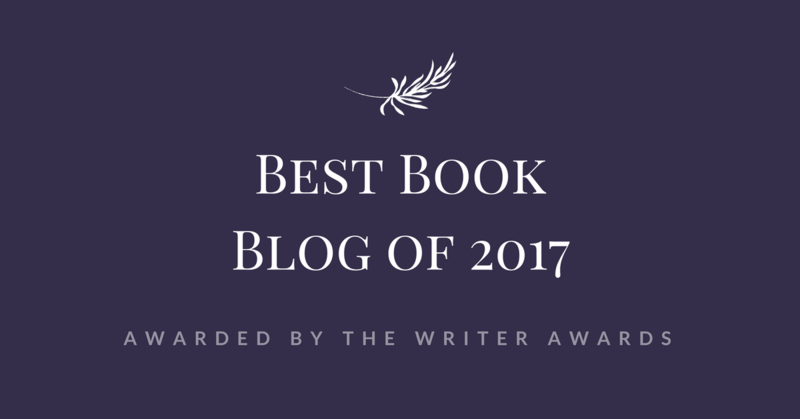 Bookluvr Mindy recently posted…Top 10 of 2014: Top 10 Books that caused me insane emotion + Giveaway! I liked her Nightshade series, not so much the prequels, but then again they weren’t very wolfy. This list is an excellent starting point! Let me know if you need any recommendations! I loved Wild Wolf. I haven’t read the others you have here. So many books, so little time. Wild Wolf was my first Jennifer Ashley book, and I loved it! I’ll definitely be back for more. You read way more oldies than me though, so you’ve got me beat there. Clearly one book that I NEED to add to my list is Shiver by my dead Maggie Stiefvater!! Great list Carmel!! Happy Xmas Eve and Merry Xmas! Pili recently posted…Top 10 of 2014: Best Debuts of 2014!! I do what I can! And, you’re one of my to-go Fantasy / SciFi peeps. Ouch! I don’t think I’ve read a single book from this list, Carmel! 🙂 Although Black Rook is on my wishlist because of its consistently good reviews. 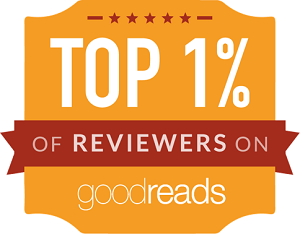 That’s too bad because 2014 was a fantastic year for werewolf books! Oh yes, Sinner is a winner! Merry Christmas, Carmel! It was more Contemporary than werewolf YA, but it still counts. Merry belated Christmas! The final installment hits shelves in January, so you’d better get on that! I was fortunate enough to receive an ARC, otherwise I’d probably be in the same boat as you right now. I hope you are enjoying the holidays, and that you’ve gotten to read some good books these days. Oh well, I won’t hold that against you, Lexxie. No one’s as obsessed with weres as I am, so… I hope Santa was good to you this year! Oh I’ve read 2! LOL it’s a good start right? I’ll have to try the others. thanks for sharing! You’ve a leg up on most, so GOOD JOB!! Ah yes, I thought I’d added Black Rook to my kindle because of you. 😉 Actually, there are a few on this list that I have on my kindle thanks to you. Great picks, Carmel! I’m hoping to get *all* of these read in 2015. I predict this post will get hits forever and ever. And I’ve gotta agree with you, Kelely Armstrong really knocked it out of the park with Otherworld Nights. Love the Pack! 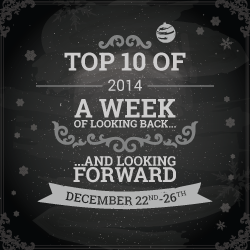 I was surprised at how well my werewolf top 10 list did in 2012, so now they make regular appearances every December. Great list! I’m kicking myself for not reading Black Rook yet, 2015 for sure!! I enjoy a good shifter book now and then. I read two werewolf books that really struck me but they are more horror then romance. Wherewolves, yep that’s how it’s spelled. And I’m almost finished reading No Such Thing As Werewolves. It has ties to Anaubis and Wepwawet. Very fascinating. I prefer it when the weres are the good guys, although I have been known to dabble in furry villains on occasion. I love lists! Why didn’t I discover this sooner? I like world building and characters over romance. I appreciated your breakdown. I hadn’t heard of Daring somehow, a male protagonist and he’s funny! The wolf colors thing sounds so unique. The only one of these I’ve read is Sinner, so I’m glad it made number one! Euuuh, because you were on holidays like the rest of us? Daring is a MUST, but make sure you start with Charming otherwise you might be a tad lost.